According to AAA, the largest motoring and travel organization in the U.S., 2016 is shaping up to be the biggest year for road travel in years with over 36 million Americans projected to hit the roads this Independence Day weekend. Traditionally July 4 is also the deadliest day of the year for auto accidents, according to the IIHS. That makes it a great time to evaluate your current vehicle and look for one that is a top safety pick as well as a great overall road trip vehicle. We’ve just entered a new year and a lot of people are just getting started with their New Year’s resolutions (or they’ve already given up). 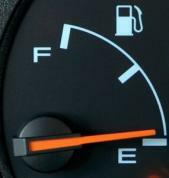 If one of your resolutions is to reduce expenses and save money you might want to take a look at these 5 tips to get better gas mileage. Change Your Route – If it’s possible you should try to avoid hills, frequent lane changes, idling, and of course traffic. 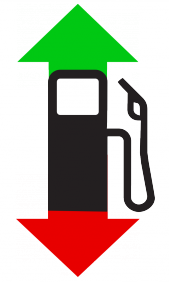 Sometimes a longer route can save gas by avoiding these fuel zappers. Check Your Tires – Improperly inflated tires can lower gas mileage by 0.3% for every 1 psi drop in pressure of all four tires. Fuel economy can be improved by up to 3.3% just by adding air. Summer is officially here. Along with warmer days summer typically sees rising gas prices and occasionally even shortages as stations convert to “summer grade” aimed at reducing emissions. This is the time of year to do what you can to get the most efficiency possible from whatever automobile you’re driving. These tips with help make every drop count. AT&T, Verizon, Sprint, and T Mobile team up to fight texting and driving with the “It Can Wait” program. The program is intended to educate the public on the dangers of texting and driving, with videos and advertisements asking teens and adults to “take the pledge” to never text and drive. The campaign brings together more than 200 organizations to support a multi-million dollar national ad campaign along with a nationwide texting-while-driving simulator tour, retail presence in tens of thousands of stores, and outreach to millions of consumers with a special focus throughout the summer months between Memorial Day and Labor Day. 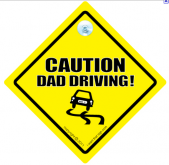 Summertime has been called the 100 Deadliest Days on the roads for teen drivers by the AAA Foundation for Traffic Safety. We all spend a lot of time in our vehicles. Driving to and from the office, dropping off and picking up the kids from school and their activities, running errands around town, traveling during vacations, and of course all the time spent stuck in traffic. This adds up to a lot of time being spent in one smallish space and translates into having less time to take care of some of the important realities of life. We all want more from our vehicles. This includes better fuel economy, reliable acceleration and braking power, and features that keep us warm and safe. But the one thing we all really want is improved fuel economy. The further you can drive on a tank of gas really does translate into more money in your pocket and frankly more positive feelings about your vehicle.